Whether you’re at work, the library, or even someone else’s house, sometimes you cannot — or simply don’t want to — install a game on a computer. But what if you could take some games with you on a USB drive, and play them on any Windows computer? Well, it turns out you can with a variety of software — all of it portable. 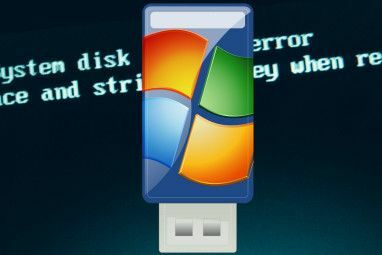 But it’s not just apps 100 Portable Apps for Your USB Stick for Windows and macOS 100 Portable Apps for Your USB Stick for Windows and macOS Portable apps let you take your favorite software anywhere via a flash drive or cloud storage. Here are 100 of them to cover your every need, from games to image editors. Read More . 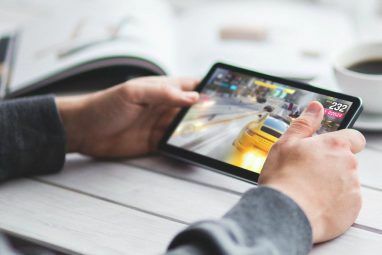 You’ll find shooters, strategy games, platformers, and more — there should be something for everyone, and we’re going to look at several genres ready to run from your USB stick. Please note: Most (not all) of these downloads require the Portable Apps Suite, so be sure to look into that software if you’re confused by the PAF files you’ve downloaded. Also, these games can run from other portable storage, such as an SD card or even your MP3 player! Remember, this is all provided for your information. We would not dream of suggesting you play these games at work or school. Do not get your colleagues or classmates involved! While it is possible to run the games listed here on the majority of USB sticks, for long-term success, you need to make sure you’re choosing the best devices. 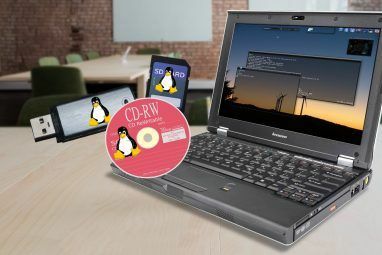 This means spending more than just a few dollars on your USB hardware, and buying a device that features decent error correction and can handle multiple rewrites. The last thing you want is a USB drive (or flash card, or MP3 player) that fails while you’re in the middle of a key gaming moment! Avoid error-prone, cheap USB devices. Opt for high quality USB Flash Drive Guide: 5 Things to Know When Buying One USB Flash Drive Guide: 5 Things to Know When Buying One USB flash drives might seem mundane and straightforward, but there are a few tips and quirks that you should know before you buy your next one. Read More , faster sticks. If you can choose a USB 3.0 drive 5 of the Fastest and Best USB 3.0 Flash Drives 5 of the Fastest and Best USB 3.0 Flash Drives Which are the fastest USB 3.0 flash drives you can buy? Here are five of the best, ranging from $20 to $200. 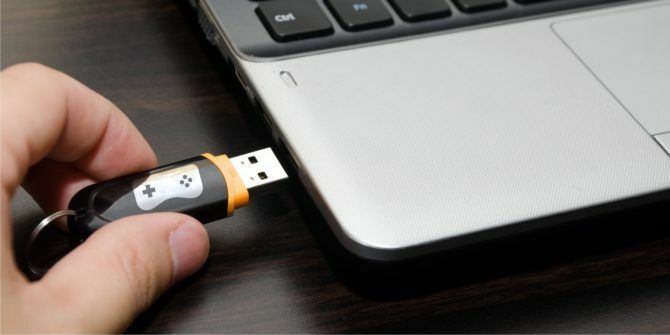 Read More over USB 2.0, for instance, then the data transfer from the stick to a PC will be up to 15 times faster. You can put a multiplayer first-person shooter on your flash drive, right now, and take it to work. Don’t believe me? Download the portable version of AssaultCube. Note: that’s actually naughty, so don’t do that. Want more multiplayer shooting action? Try Xonotic Portable. Notable for refreshing the long-abandoned text adventure format, A Dark Room is widely available across various formats. Happily, you can also run it as a portable game. Described as a minimalist text adventure, A Dark Room starts you off, as you might have guessed, in a dark room, where you must light a fire and interact with events as they happen. Although a text adventure, control is via mouse. Atmospheric and stark, this tale will keep you intrigued. Make sure you’re not so involved that someone starts looking over your shoulder without you noticing! Putting you in charge of cargo ship Chromium B.S.U., this eponymous game challenges you to use a fleet of robot fighters to destroy enemy ships. Should the enemy pass, they will get a direct shot on the cargo ship, and you’ll lose a fighter. In this unusual take on the space shooter, you’ll have to utilize the robotic fighters as weapons. With strategic suicide and tactical self-destruct among your options, this is a fun and challenging arcade game Internet Archive Brings 900 Classic Arcade Games To Your Browser. Here Are 7 Of The Best Internet Archive Brings 900 Classic Arcade Games To Your Browser. Here Are 7 Of The Best Your town's arcade may have shut down in the mid-90s, but that shouldn't stop you from getting your classic games fix. Read More . As with any shooter, the action can get noisy. If you’re planning to pass the time in your local library, remember to wear headphones. After all, you wouldn’t want a fussy library user to bring a premature end to your game, would you? Modern versions of Windows deny you the basic games that once came with Windows by default. But don’t panic, because if you’re got a Windows XP CD lying around, you can grab Minesweeper, Solitaire, and the rest quickly. Even better: once you have the files, you can run these games on any computer from your USB drive. Just copy them across, safely remove the USB stick, and stick it in your pocket. Next time you’re near a computer — not at work or school, of course — plug it in, run your preferred game, and enjoy! If you don’t have access to Windows XP, try Quick Solitaire and Mines-Perfect instead. This Lemmings-style game features 77 playable levels, and is available on Linux, Windows, macOS and other systems. Featuring secret levels and a world map, the aim of Pingus — if you’re unaware of Lemmings — is to guide your Tux-like penguins to the level exit. On the way, you’ll need to overcome obstacles by issuing commands to individual creatures. Pingus is an addictive arcade puzzler that requires a changing strategy for each level. With the portable version so accessible, you can’t miss out! And if you get stuck, there are many YouTube videos like the one above to walk you through the levels. Want more portable puzzlers? There are several Sudoku games, but we think you’d like the Puzzle Collection Portable package of games. Strategy games are great fun, and Civilization is among the best. FreeCiv isn’t a perfect replica of the Microprose classic, but it comes close. Essentially a clone of Civilization II, this version is completely free. While you probably shouldn’t play games at work, this is the sort of title you can get away with playing at the office. Now, we wouldn’t dare tell you to turn your monitor away so no one can see it. Or that when playing this, you’ll basically look like you’re focusing on work-related matters. That would be wrong. Find out more about FreeCiv, or go ahead and download the portable version of the game from Portable Apps. Other notable portable strategy titles include Hedge Wars (a Worms-esque strategy title), OpenTTD: Transportation Simulator, and Lucas Chess. Put a Rocket in Your USB Stick: SuperTuxKart! Want some Mario Kart-style action for office-based team building? SuperTuxKart is the awesome open-source kart racing game for Linux, Windows and macOS — also available as a portable app for Windows. Like the game that inspired it, SuperTuxKart offers single and multiplayer gaming options along with a range of characters and tracks to play on. There’s a strong likelihood that playing this game will attract the attention of co-workers. It will probably also send managers scurrying your way, so avoid playing at work at all costs! Looking for an alternative car game? Check out ManiaDrive Portable for acrobatic stunt car fun! You should have a nice collection of portable games building up by now, so why not add a traditional role-playing game (RPG) into the mix? Monster RPG 2 was developed with a focus on a strong story and unique gameplay 5 Classic RPGs With Unique Battle Systems You'll Love 5 Classic RPGs With Unique Battle Systems You'll Love Skips the usual affair and start playing these 5 RPGs with unique battle systems you'll fall in love with. Read More . Meanwhile, the polished production provides a nostalgic trip to the days of epic SNES console RPGs. With 19 locations to discover and explore, nine adventurers to lead in your party, and turn-based combat against over 90 monster types, Monster RPG 2 is everything a great 16-bit role playing game should be. Add it to your USB stick today! A nice quest-focused alternative is Mana Plus, also available as a portable app. Build a New World on Your USB Drive with Minecraft! Gone on holiday and want to catch up with Minecraft in a local cybercafé? Need to finish building your TARDIS but have to go to school? Worried about not having enough resources to finish off your version of the Eiffel Tower at work? You’re in luck, because there’s a tutorial for putting Minecraft on your USB key over at MinecraftForum. It’s long, but it just might be worth it. Where Can You Find Portable Games Online? We’ve really given you the highlights here; there are many more portable games available online. So, once you’ve worked your way through this list, and you want more, where should you go? PortableApps — You’ll find the largest list of games here. They have several video game genres, from RPGs to arcade games and even physics games. PendriveApps — This is where you’ll find a modest list of good-quality portable games. The overwhelming majority of these were originally developed for Linux, and are open source. Both sites hold lists and links for other portable software, too. With the best portable apps The Best Portable Apps That Require No Installation The Best Portable Apps That Require No Installation Portable apps don't need installation. You can run them from even a flash drive. Here are the best portable apps around. Read More , you could conceivably turn your USB stick or SD card into a personal computer How Portable Apps Can Make Your Life Easier & Save Resources How Portable Apps Can Make Your Life Easier & Save Resources If you frequently switch computers and have cloud storage space or USB drives to spare, here's an idea: outsource your applications. Read More ! Make Retro PC Games Portable, Too! If you have a collection of old PC games, you can also enjoy them as portable games thanks to the portable release of DOSBox. If you’ve never heard of it, DOSBox is an MS-DOS emulator — it enables you to run pre-Windows 95 games on almost any device. And now, on a USB stick, too! After downloading it from SourceForge, run the EXE file as administrator (right-click the file to select this option) to install DOSBox Portable onto your USB stick. Remember that old games are probably still under license, so if you don’t already own a copy of the game, it’s best not to download a game image. Instead, stick with games that have been designated as “abandonware.” This means that the publishers have agreed to make the titles available for free 5 Sites Where You Can Download Old PC Games for Free 5 Sites Where You Can Download Old PC Games for Free Want to try downloading some old PC games for free? Here are the sites where you can find the best games of old, free to download. Read More . These resources often display screenshots to show an example of the game, along with PDF versions of the manuals. Once you’ve got the game you want and have downloaded it, unzip the archive. Copy the uncompressed folder to your USB stick in a dedicated location; you might call it Games. It should be placed in the directory \App\DOSBox\. Moments later, I was being overrun by Genghis Khan’s Mongols and unable to fight back. But that’s Civilization. Many other DOS games are available — and you can even play them in your browser Emulate Classic DOS Games Right In Your Browser For Free Emulate Classic DOS Games Right In Your Browser For Free Play retro DOS games in a couple of clicks, thanks to The Internet Archive. Read More ! Love retro gaming? Why not fill your USB drive with retro emulators? We’ve outlined major emulators for three eras of gaming, and most of these are portable apps already. Fill your USB drive with ROMs and these pieces of software and you’ll be good to go. Our guide to emulating 8-bit games 10 Retro Emulators to Play Early 80s Home Consoles on Your PC (1981-1986) 10 Retro Emulators to Play Early 80s Home Consoles on Your PC (1981-1986) Read More should help here, as might our collection of emulators you use for playing 16- and 32-bit console games 10+ Emulators to Play Old-School 16- and 32-bit Consoles on Your PC (1987-1993) 10+ Emulators to Play Old-School 16- and 32-bit Consoles on Your PC (1987-1993) Read More . Emulators for running games from the mid-to-late 1990s 8 Great Emulators to Play Modern Home Consoles on Your PC (1994-2001) 8 Great Emulators to Play Modern Home Consoles on Your PC (1994-2001) Read More can also be run as portable applications. What about the controller? You should probably seek out a reliable USB controller built with retro gaming in mind. Several are available online. In places where you’re blocked from installing software, running games from USB is vital. Just make sure the usage policies of the location permit USB devices. Use this list, and you can play pretty much any kind of game directly from your USB drive. But what games can we add? Let me know what portable games you find in the comments below, and together we’ll build the ultimate USB of portable games for Windows! Explore more about: Free Games, Portable App, Retro Gaming, USB Drive. My brother plays World of Warcraft from a USB 3.0 device. I can't help noting that OpenTTD is not on the list. I know it had to be contained at some point, but OpenTTD surely must have been considered. OpenTTD is certainly in the list, under "Strategy Gaming on the Go"
That it is! I apologise!